Roasting chicken parts instead of a whole chicken gets dinner on the table a lot faster. 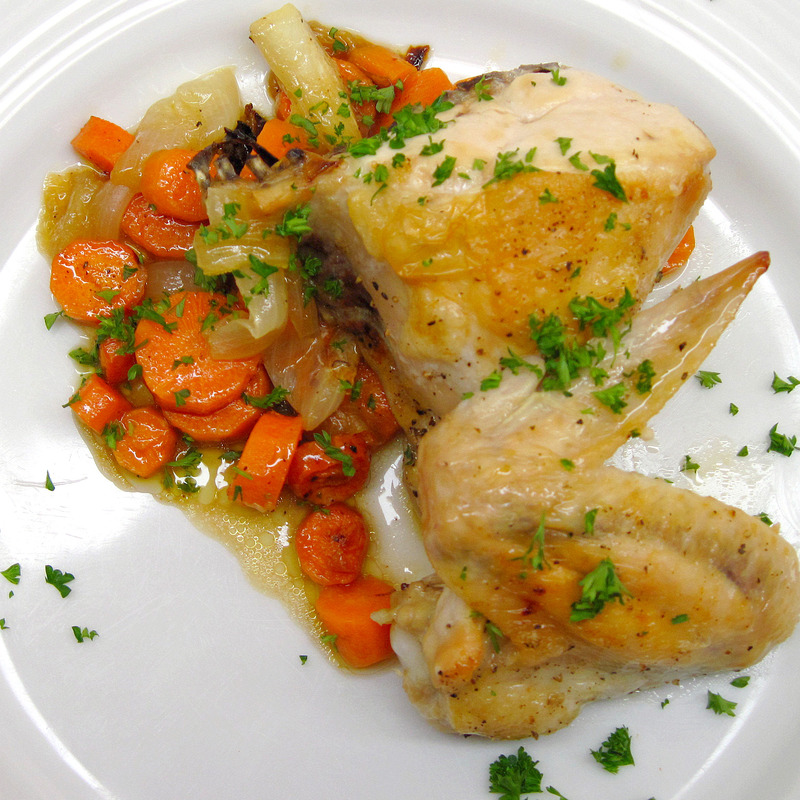 I adapted a recipe from Mark Bittman’s How to Cook Everything, which he calls “Roast Chicken Parts with Fennel, Celery, or Carrots”. Since I had carrots, I went with that; I also added a few slices of onion for extra flavor. In my oven, his timing was perfect. 3. 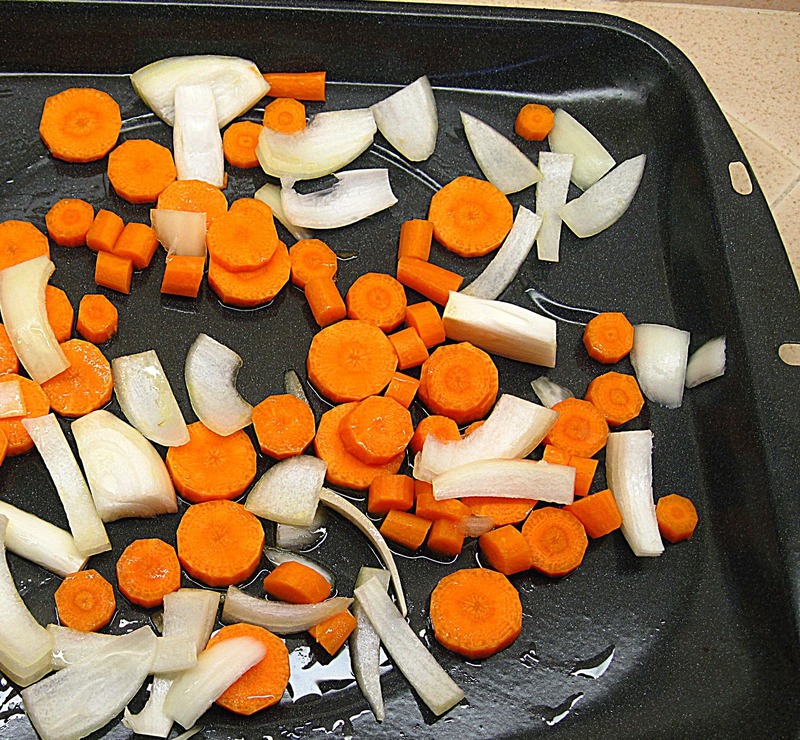 Add the carrots and onions to the pan and stir to coat in the olive oil. Lightly salt them. 4. Put the carrots and onions in the oven to roast for 10 minutes. 5. Stir the vegetables, and then arrange the chicken pieces on top, skin side up. Drizzle 1 tablespoon of olive oil over the chicken. Salt and pepper the chicken pieces. 6. Roast the chicken for 15 minutes. Remove from oven and stir the vegetables a bit. 7. Roast an additional 15 minutes. 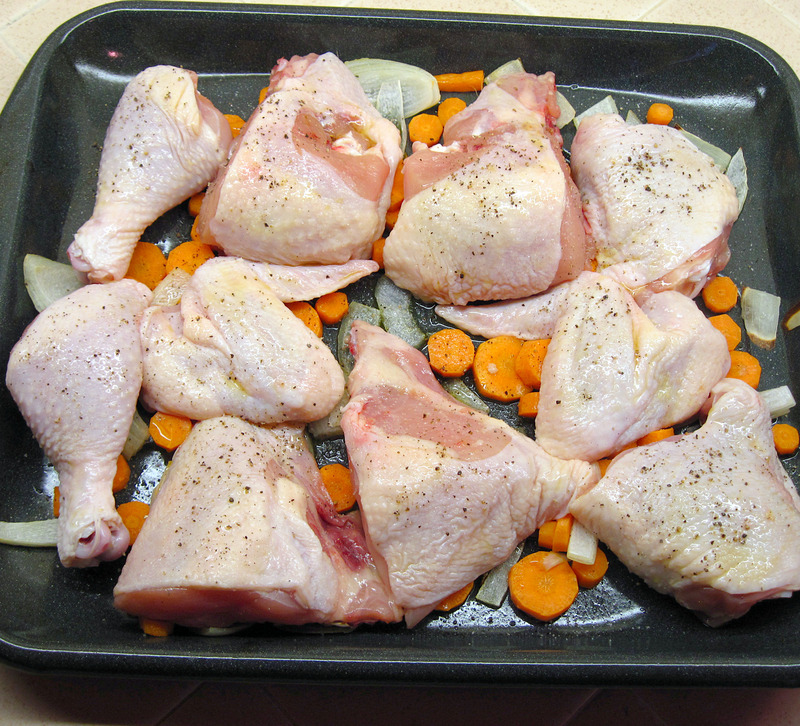 The chicken should now register 165˚ with an instant read thermometer and be ready to serve. Garnish with chopped parsley, if desired.